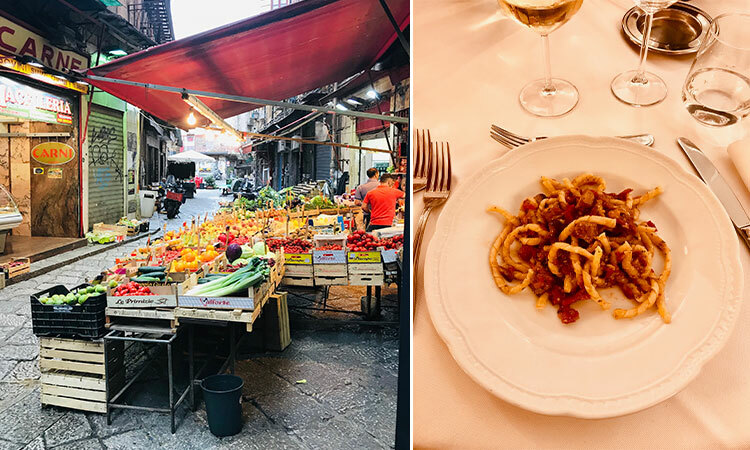 Where better to enjoy food and archaeology than Italy? Food & Archaeology? Italy is the place to combine them! If you love history, archaeology and culture as much as you like gastronomy, you should treat yourself to a place on one of our Food & Archaeology tours. The experience of touring ancient sites in the company of an expert archaeologist and following your visit with a tour of a Parmigiano-Reggiano factory or cookery class is simply unrivalled, and it offers a rounded insight into the true heart of your chosen destination. 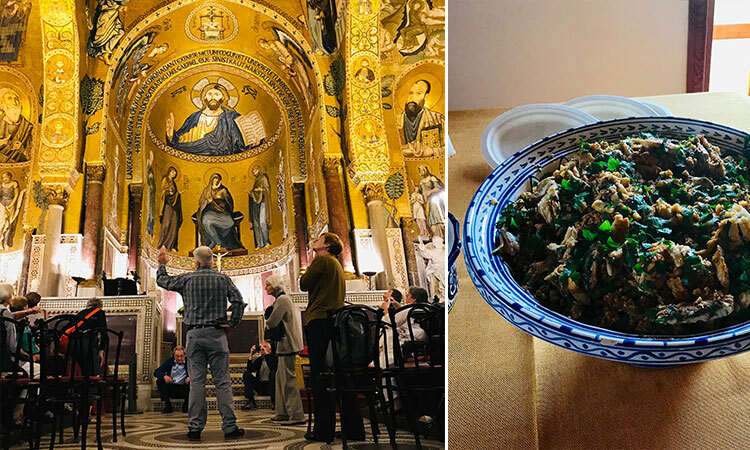 With a rich and varied history along with incredible archaeological sites, and – of course – world-renowned cuisine, there's no better place to combine food and archaeology than Italy. From bustling city markets (Palermo's Vucciria market, pictured below!) where the produce and flavours are deliciously fresh, to off-the-beaten-path trails where elusive truffles might be hiding – we have a range of foodie experiences on offer to tempt you. Join us in either Palermo or Bologna next year and taste your way around the areas in the company of an expert. So, which destination will you choose? 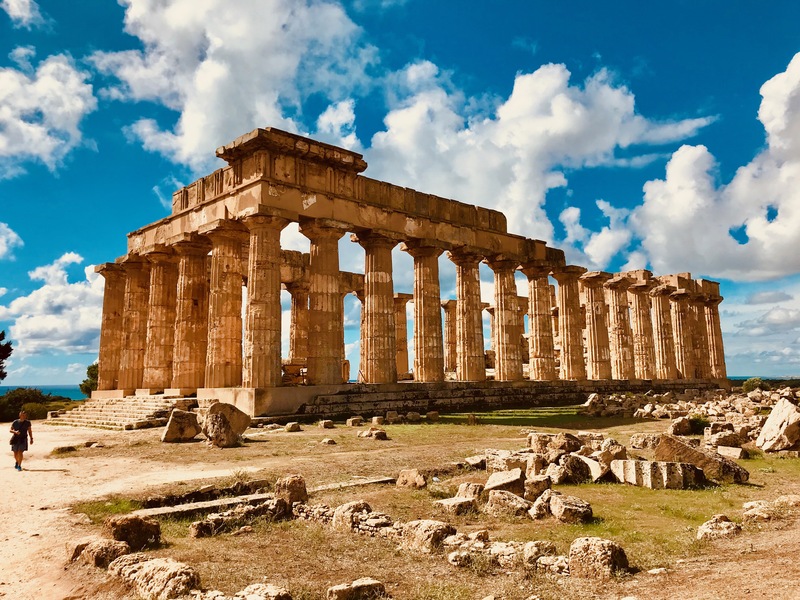 On our Palermo - Festive Food & Archaeology tour, along with a hands-on cookery class and demonstration of how to make traditional marzipan fruits by the friars of Frati Minimi, you'll be taken to the Doric temple at Segesta (pictured at the top of this blog post in all its honey-coloured glory), you'll enjoy a tour of the Arabesque La Zisa, the Catacombs of Ossuna and there will be a very special private visit to the glittering Cappella Palatina (shown below on the left). We have two tours of Bologna, one is over the festive season and the other departs in May. The former will see you experience the 'burning of the old' on New Year's Eve. Both tours, meanwhile, include a hands-on pasta-making class and an exciting opportunity to accompany an expert truffle hunter on his search for this exclusive delicacy. 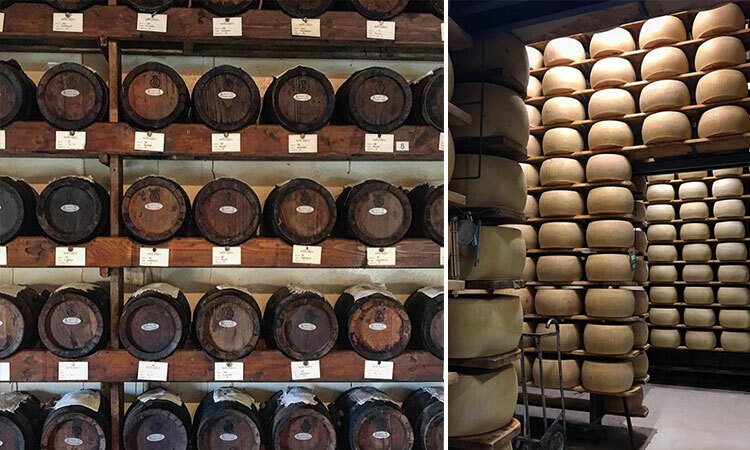 On the Festive Food tour of Bologna, there will be visits to a Parmigiano-Reggiano artisanal producer along with a tour of a family-run balsamic vinegar producer – both of which will include tastings along with the chance to purchase something delicious to take home, should you wish!